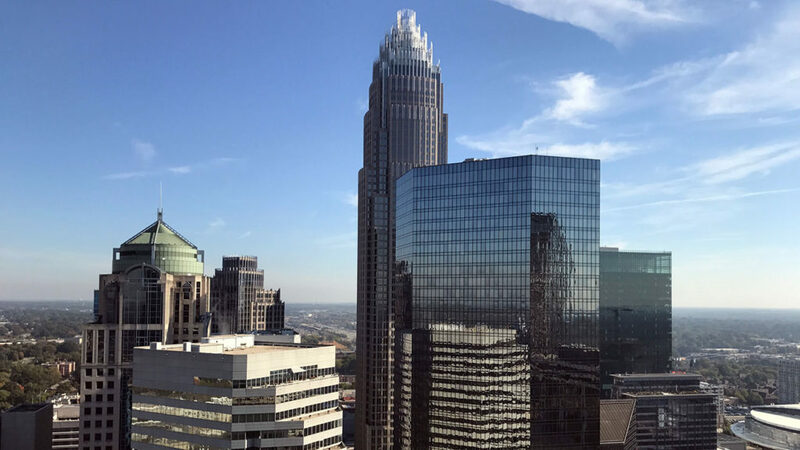 Sabor just announced plans to open its 9th restaurant in the space formerly occupied by Tavolo in Uptown Charlotte. It’s set to open in the middle of 2018. Dalton Espaillat opened the doors to the first Sabor in Elizabeth on July 4, 2013. It lost money for two years and Dalton was one month away from closing the restaurant. Then he introduced Taco Tuesday. That decision was a turning point for the restauranteur behind one of Charlotte’s fastest-growing concepts. He didn’t start out in the food business. Dalton Espaillat originally was a civil engineer, working at a concrete company in Charlotte. Then came 2007 and the stock market crash. Dalton made the decision that he needed a backup plan to generate cash. So he and two friends opened up a restaurant named La Casa de Enchiladas. It was Dalton’s version of a side hustle. La Casa de Enchiladas didn’t work out. Dalton ended up taking over ownership and changed the name of the restaurant to Three Amigos. He and managed the restaurant with his family. “I remember working at Three Amigos until 4 a.m. back when we served a late night menu. The first few years were rough. It was hard on our family,” said Dalton, who still owns the restaurant. But slowly, Three Amigos emerged as a must-visit Mexican restaurant in Charlotte. 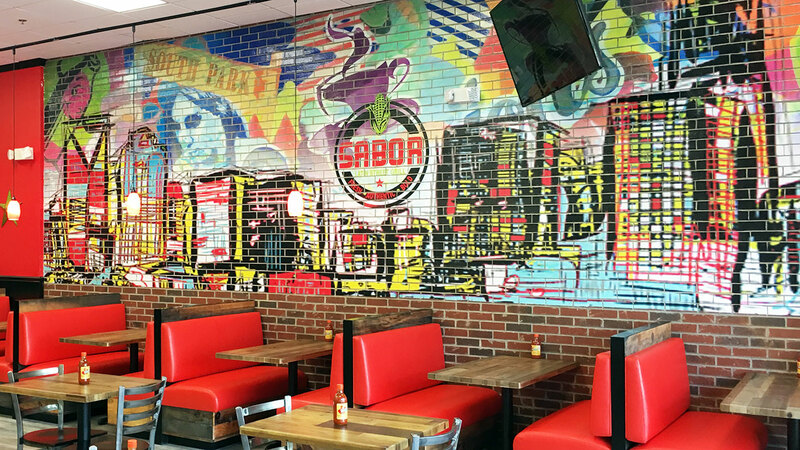 A few years later, Dalton launched Sabor Latin Street Grill – which now has 8 Charlotte locations and another one on the way in the heart of Uptown. Dalton Espaillat, second in from left. Fun fact: in deciding the restaurant’s name, Dalton almost went with Sazon (seasoning) or Sancocho (melting pot) instead of Sabor (flavors). You can’t help but be impressed by Dalton’s focus and execution. 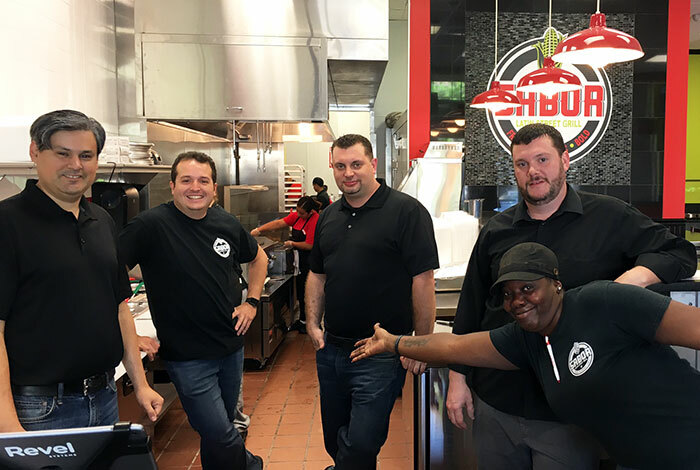 “Our business formula is simple — fresh food and affordable prices,” Dalton said. “What Sabor sells are really good tacos and really good food. We don’t invest in the experience because we want to keep our prices affordable. We also have the best margarita in town.” Sabor hasn’t raised prices in about four years. As restaurants grow, it becomes easy to cut corners on quality because of the economics. Not at Sabor. For example, they make all their salsa in-house and it always comes out a little different. Dalton travels to the Dominican Republic about twice a year for menu inspiration. He’s not a trained chef, but he says he understands flavor. Another rule Dalton lives by is that the menu must be small enough to fit on Sabor’s two overhead screens. If their team decides to add an item, they force themselves to take an item off the menu. About 18 months ago, Sabor really started to take off. Operations were tight, the menu was perfected and senior management was in place. There aren’t any outside investors, and Dalton says he hasn’t received many inquiries. He originally wanted to fund new store openings through bank loans, but they “moved too slow,” he says. He now reinvests money from current stores into new locations. When you view the simplicity and grassroots vibe of Sabor’s restaurants, it’s easy to underestimate Dalton’s ambitions. But that’s a mistake. As an uncultured American that always orders nachos and tacos from Sabor, I had to go home and google “Arepa” — it’s a Venezuelan style white maize cake filled with shredded chicken, diced tomato, onion, cheese with rosada sauce, $5.95 at Sabor. Currently, Chipotle has about 2,100 locations. 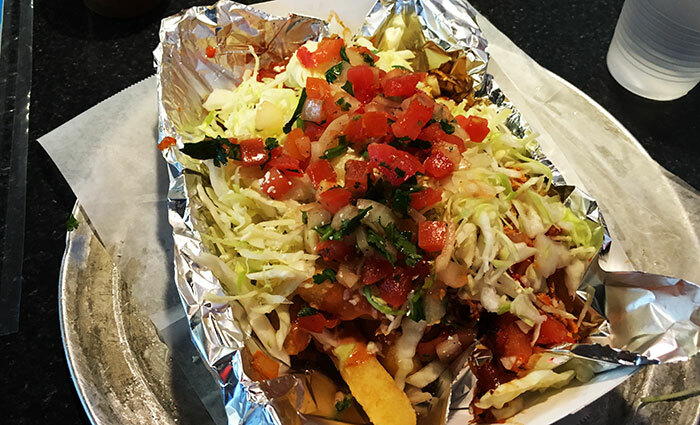 Sabor Latin Street Grill has 8 locations. It seems impossible that Dalton could ever even dream of taking over Chipotle’s market dominance. But then you go to Sabor on a Tuesday night and you start to think, maybe – just maybe Dalton’s got a shot.